The economy that mostly uses cryptocurrencies rather than fiat has a strong potential for its future development. 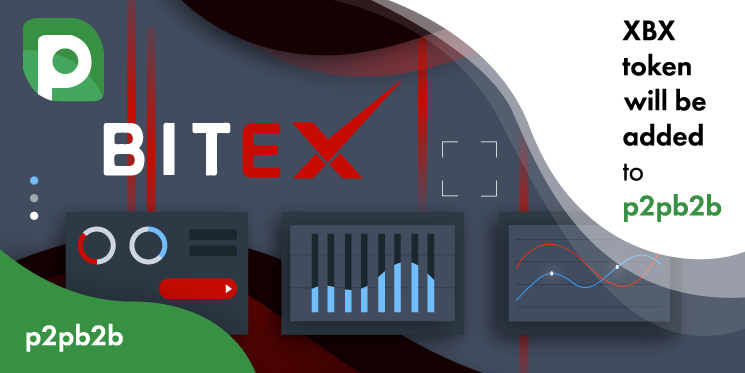 In order to support the idea of a crypto-based financial system, Bitex has introduced own ecosystem and its XBX token will be soon available for trading on p2pb2b. Bitex is a crypto-banking service that includes EZBitex exchange and BitexPay payment system. Platform users get an access to localized governance of finances, ERC-20 compatible digital wallet and a virtual debit card for payments. XBX token used in all Bitex services empowers the ecosystem and tend to introduce a credit standard in the blockchain economic system. Token holders are able to get a discount on the fees paid for making transactions within EZBitex network.